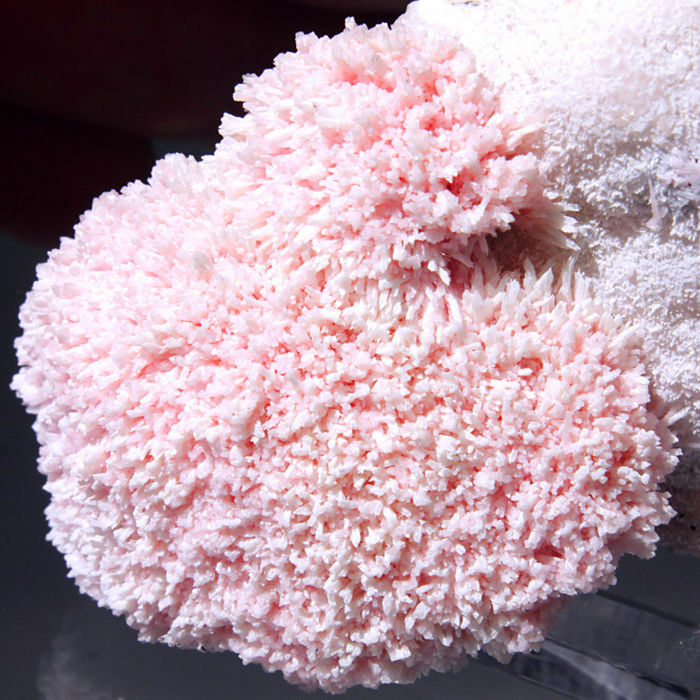 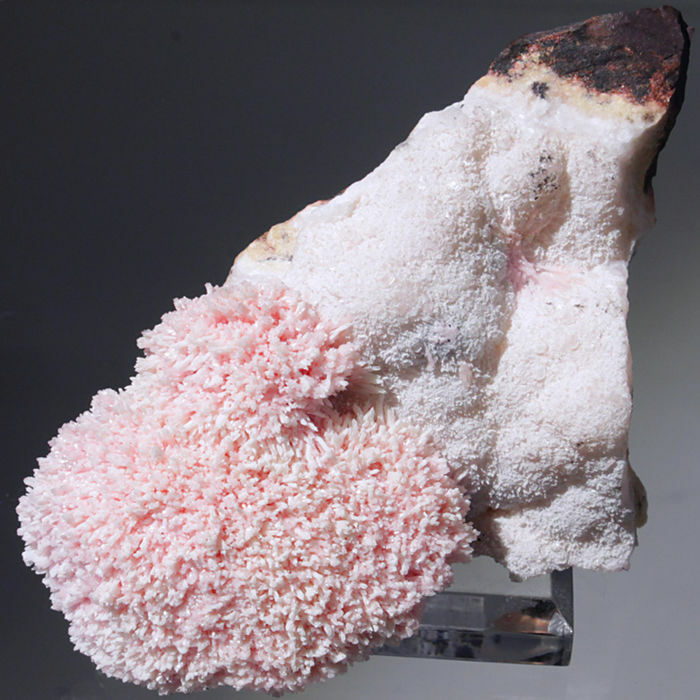 Beautiful cluster of sweet pink bristle shaped Kutnohorite crystals, delightfully grown on a white Calcite layer on top of a good contrasting manganese matrix. 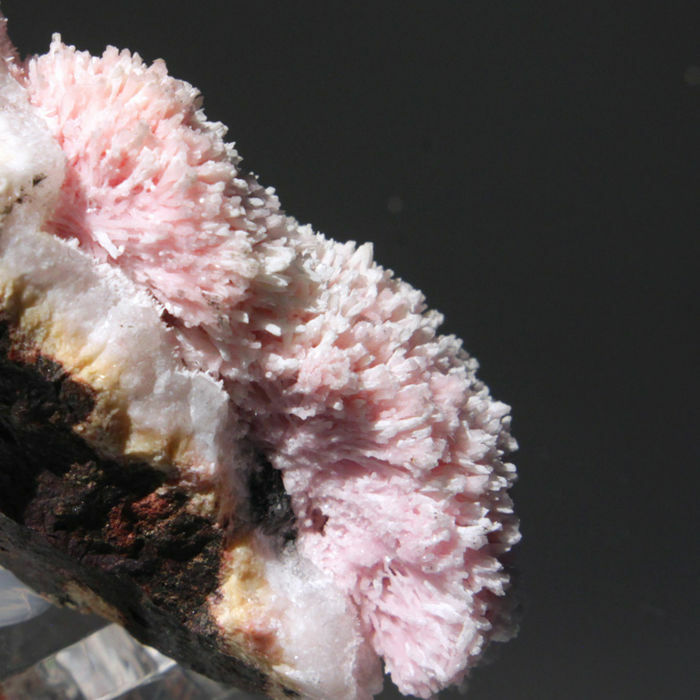 Rare manganese mineral from the legendary Kalahari manganese fields and a stunning display specimen. 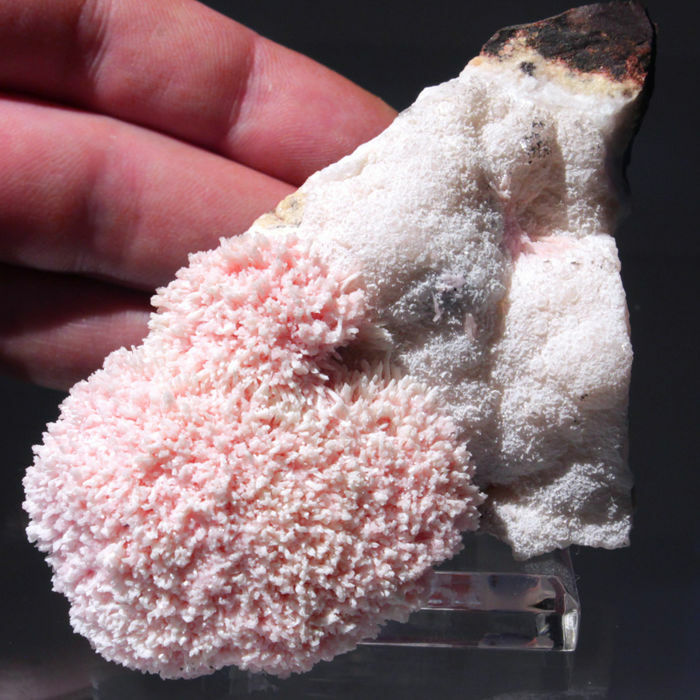 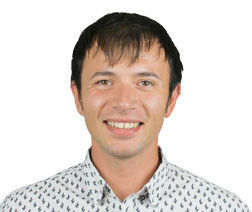 A-Quality from own collection.